Congrats, Andrea. I still have your address 🙂! I really, really hope that the calendar will get to you really quickly after Christmas. The new year is only 8 days away… Thank you to everyone for taking part – but wait, there is one more thing! Day 12 contains the big question mark – or the big surprise box of RAvotionalia… Maybe you can guess, maybe you are happy to be surprised, but that is exactly what will happen – whoever wins this raffle, will get a surprise sent. The contents may be familiar to you, you may have seen some of the things before… But that’s all I am saying. And as a lovely extra surprise, our fellow fan Eugeal – the winner of a raffle herself – has been in touch with me and offered another mystery prize to another lucky person today. I have no idea what she is planning, so even if I wanted to, I couldn’t tell you more than this… In any case, her contribution means that we have two mystery prizes in the raffle today, so two chances for two winners to get lucky! In a slight deviation from the usual proceedings I am leaving the raffle open for 48 hours, taking into account that many European readers will be offline today, and anglophone readers are probably offline tomorrow. For everyone to leave their comment as a raffle entry, I will draw the winners on 26/12. Otherwise the same rules apply: To win one of the two prizes, leave a comment on this post. The raffle is open for the next 48 hours and finishes at 3pm GMT, December 26, 2017. The raffle is open to all, and the items will be sent anywhere in the world, at no P&P costs for you. Winner to be announced on 26 December. No presents under the tree yet… But all in festive mood and happy to be together. Congratulations Miss Andrea. Guylty, your tree is beautiful. The history of the ornaments on your tree makes them treasures. I hope you have a very Merry Christmas! This year was the prettiest tree I ever had – thanks to my granny’s baubles 🙂 Hope you had a great celebration yourself! Congrats, Andrea! 😀 No doubt you will enjoy your prize. 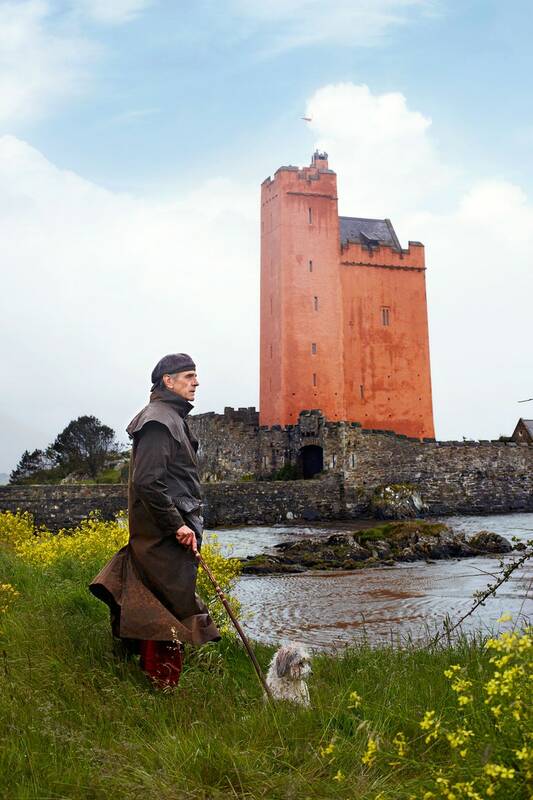 As for last one, is it Richard on a pony and he is owner of a castle somewhere in Ireland or Scotland? XD Would love to have that! Hi Julia – hope you had a lovely Christmas, too! That’s great! Thanks a lot to you and to Eugeal. Happy Christmas to you and all your readers! 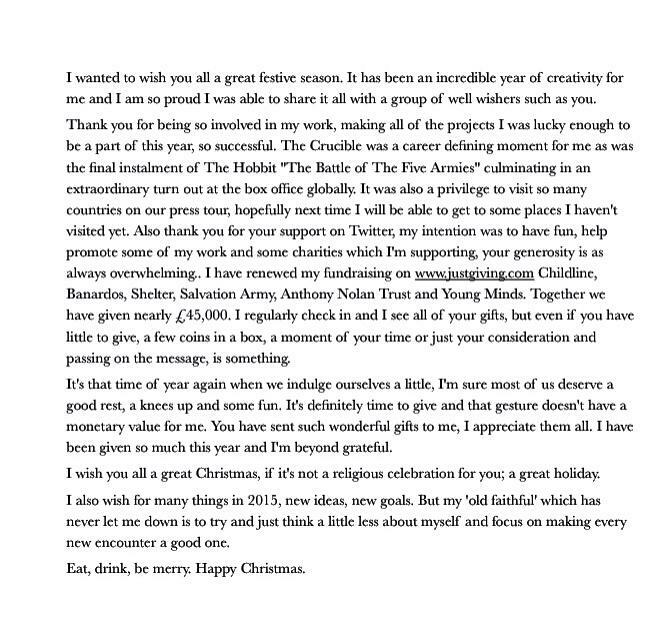 Thank you, Hobbit – hope you had a great Christmas, too! Thank you! Hope you had a couple of nice days with your family! This tree is a real beauty and I love how you decorated it!!! Many thanks. Did you have fun with your family? Thank you Guylty for the fun and thoughtful raffle. Thank you too Eugeal for your mystery prize. It was a pleasure. I hope everyone had fun with this little project of mine. I have to admit I am very precious with the old baubles. But I just think it is better to dare and have them on the tree, than never see them because they are kept safe in a box. Hope you had a lovely Christmas with your family! Happy Christmas Guylty.Warmest wishes to you and your family. Your tree is beautiful. Thank you, dede, and I hope you had a lovely celebration, too! Merry Christmas to everyone! Your tree is so beautiful, Guylty! Thank you – and hope you had a great Christmas, too! Der Baum auf der Arbeit ist mit silbernem Kram geschmückt … Zu wenig Kram, zu viel Baum. Deiner gefällt mir besser. 😉 Und dann noch, wenn ich das richtig sehe, echte Kerzen … schööön! Weniger schön finde ich einen Überraschungsgewinn, muss ich leider sagen. Ich bin hin und her gerissen, ob ich hier nicht besser “no comment” schreiben soll. Ich weiß einfach, dass ich gar nicht alles haben möchte, nur weil ein Richard-Bildchen drin/drauf/dabei ist, und es täte mir leid, wenn ich etwas einsacke, das mir wenig, jemand anderem aber vielleicht sehr viel Freude machen würde. Das finde ich eine großartige Entscheidung! Ist notiert! Und hehe, das hast du mal wieder erfrischend direkt gesagt – klar sind da überall Richard-Bildchen drauf. Gorgeous tree and exquisite decorations! I’ve just finished doing mine, also with lots of very old family baubles 😊 Have a wonderful holiday! Have you taken a picture? I would love to see your tree, too, especially if it contains heirloom baubles! Hope you had a great Christmas. What did Carlo make of the Christmas tree? Hyvää Joulua kaikille! Merry Christmas to everyone. Your Christmas tree look so beautiful. Thank you Riepu – how was your Christmas? Did you have lots of snow? SIlver and white are the colours that are ‘in’ this year. Oh, is that the fashionable colour combination this year? I had no idea… I just decided that I was sick and tired of red this year. The ornament arrived today and I immediately hung it on my tree. Thank you! That’s traditionally the day when the decorations come down in Germany :-). But yes, I know that in the Spanish-speaking world, that is the day when gifts are exchanged. Froeliche Weinachten! I love your tree and especially the thought put into it, what a tribute. Thank you for all you do to keep us merry! May you and your family enjoy a blessed Christmas and a very happy 2018. Vielen Dank! It’s nice to use the old heirlooms and remember the people who are connected with it. I have had lots of fun with my little raffle project, it has kept *myself* merry, too. Hope you had a lovely Christmas, too! And Guylty, your tree is gorgeous! May you get all your heart desires. You have eagle eyes. Indeed it is a very special quilt from someone we know. And the quilt is in my sitting room all through the year because it is extra beautiful and special. Thank you – hope yours was good, too! I love surprising boxes, thank you and Eugeal for such nice ideas. Have a nice time now with your family and be careful with your real candles. Do you have a bucket of water near by? Long time ago our cat has jumped in the tree and it was a disaster. Merry Christmas to everyone and enjoy your holiday! I like surprises, too. It doesn’t even matter so much to me what is in it – the process of receiving and unwrapping it, is already great. As for the tree and the bucket – so far we have only lit the candles on Christmas Eve (both today and yesterday we were not at home in the evening). And we didn’t even put a bucket nearby. But you are right, we should… In all my years we have always been fortunate that we never had an incident with the candles. Hope you had a lovely time with your sister! P.S. : Viel Glück mit deiner Mutter. Tree looks beautiful! I’m not brave enough to use glass baubles… they would most likely break too quickly in my house! Thank you for the 12 days of cheer. Merry Christmas to all! You are welcome – I hope you had fun, and a lovely Christmas, too! Beautiful tree. I have some old fragile family ornaments as well. But this year everything on the tree is unbreakable because of the phantom crawler who tries to touch everything, then insert whatever he grabs into his mouth. Merry Christmas to you and your family. Thank you Kathy. How was Christmas with the little phantom crawler (LOL) – was he fascinated by all the shiny things dangling on the big green tree? I’m sure you had lots of fun with him. Like everyone else I love your tree and the rest of the decor. So interesting and original. Thanks for all the hard work with the raffles and congratulations to all the winners. A lot of delight has been spread all round. Wishing you and everyone else a very Merry Christmas. I hope you all have a wonderful day. Thank you, Jenny – and also many thanks for your thoughtful Christmas card. I hope you had a lovely Christmas, too! And thank you for your support – a lot of delight has been spread, indeed. Congrats Andrea! What a treasure to have your grandmother’s ornaments. It’s amazing they are nearly a century old! That tree is really quite exceptional. It’s my most favorite variety. Merry Christmas to all and many thanks to you for all the joy you spread throughout the year. I am very glad my mother let go of her mother’s baubles. They are my pride and joy, even though I have not had them on my tree every year. This year they set the theme. Hope you had a wonderful Christmas with your family. Did you celebrate with your daughter? Beautiful and elegant tree! Merry Christmas and I hope you have a wonderful family celebration. Thank you Sue – we had a lovely small Christmas Eve just with my mother, then Irish Christmas with my father and mother in law, and my husband’s brother and family on Christmas Day, and then today the whole family on a big walk with picnic. Perfect. Hope you had lots of family time, too! Häid Jõule 🙂 my Christmas-tree looks nothing like this, your is really pretty! I am glad to hear you like surprises. So do I – I’ll keep my fingers crossed for you. Hoffe, du hast mit deinen Jungs schön gefeiert! Decorations with such history, I love it! Many thanks. It has been really lovely – all what I wanted from Christmas, in fact. [not an entry] Merry Christmas, dear Guylty! I am amazed by your tenacity in spreading the love, in being kind and generous. I was overwhelmed and absorbed by my real life duties lately and found only very little time for myself, but I’ve seen the wonderful gifts you offered again this year and I am happy for the winners. The RA ornament I have from you is in my tree one more time and I’m thinking of you dearly. Blessed holidays for you and yours! Thank you for this lovely comment. I have been missing you, Glady, and assumed you were busy. I hope you had a few family days with time to relax, too. Let’s hope that 2018 will give us time to do all the things we enjoy doing.